Anthem is an online multiplayer action role-playing video game developed by BioWare and published by Electronic Arts. 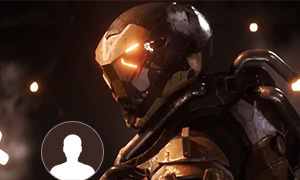 The Anthem game can be run on PC (Microsoft Windows), PlayStation 4 and Xbox One platforms in 2019. 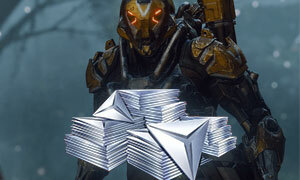 Microsoft Xbox Store and Sony PlayStation Store published the Anthem and its currency refill packs simultaneously, but most all of them are expensive than Joymmo.com online shop. 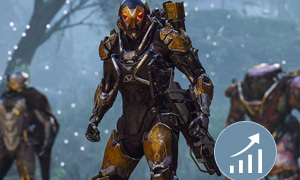 If you want to save money when buying Anthem cosmetic items to decorate your Javelin (Ranger, Colossus, Interceptor, and Storm) with Anthem Shard Packs, you can buy Anthem Coins from us. Besides, if you do not want to waste time on Anthem Leveling, and want to buy a ready-made and high-grade Anthem Account to enjoy yourself? Please choose our Anthem Boosting service!